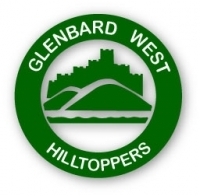 The purpose of this web site is to maintain a historical record of past reunions of the Glenbard West Class of 1965, and other celebrations, as well as provide information about other items of potential interest from our days at Glenbard. If any information herein is found to be inaccurate, please feel free to contact me for corrections. Hopefully you will enjoy the trip down memory lane!! Established May 26, 2010...Over 85,000 unique visitors since it was posted on the web.